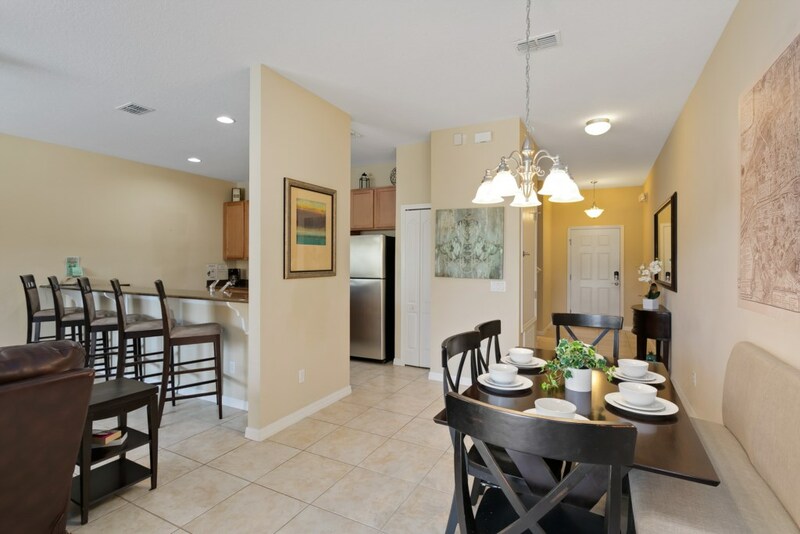 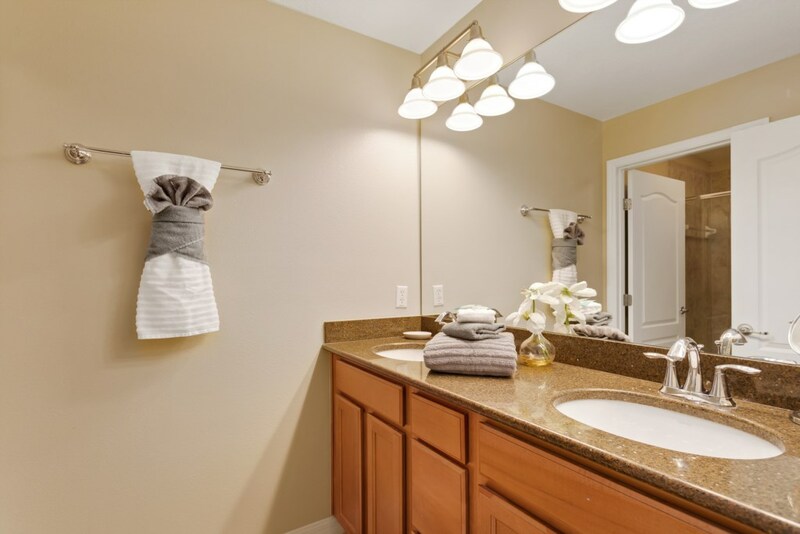 Treat the whole family to a vacation they will never forget when you book your next trip to this family-friendly Kissimmee home. 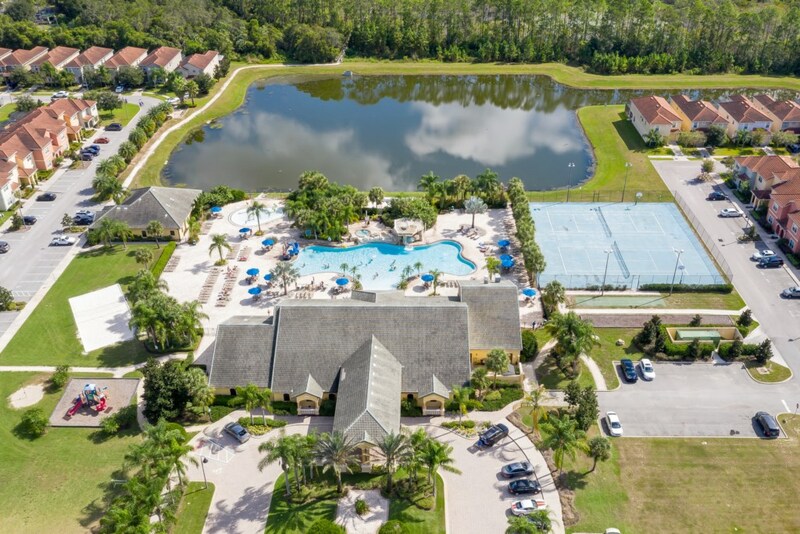 Boasting great shared resort amenities like a pool, hot tub, fitness center, golf, and even a sauna, you'll have relaxation at your fingertips and Disney fun just a short drive away! 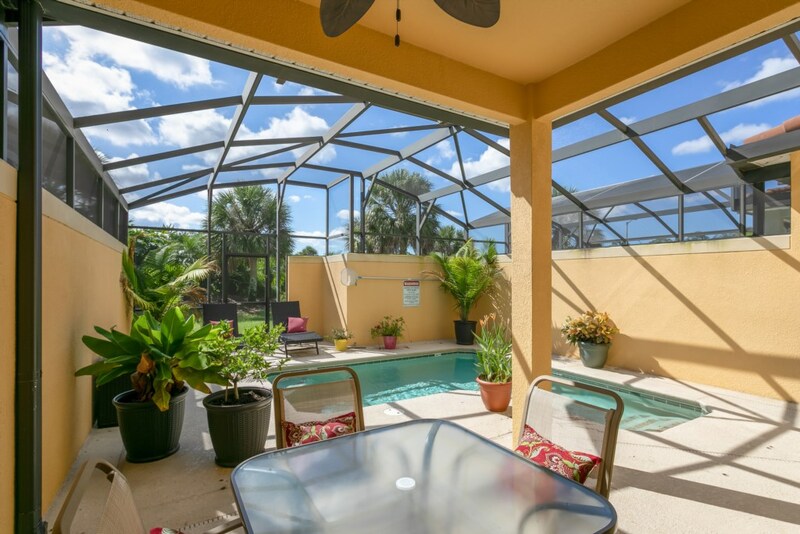 This townhome also offers a small south facing private pool. 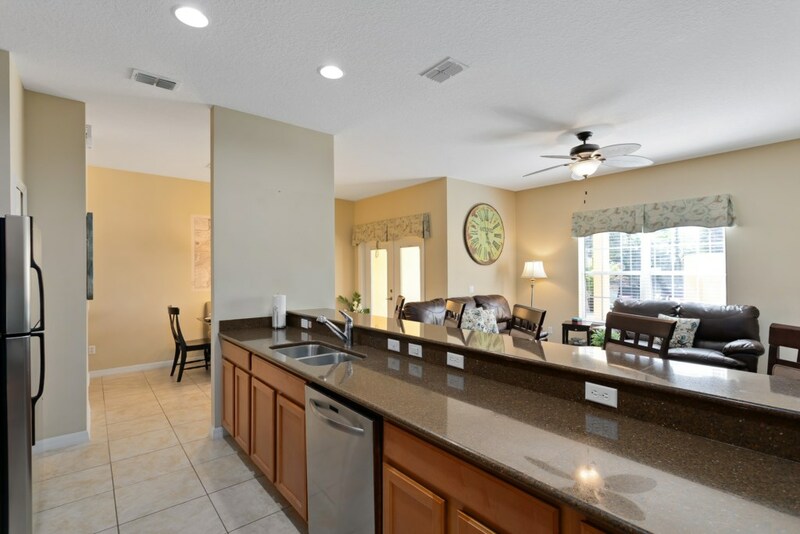 Centrally located in the Paradise Palms Resort, you'll be just seven miles from the iconic rides and attractions of Disney World and close to beautifully designed golf courses. 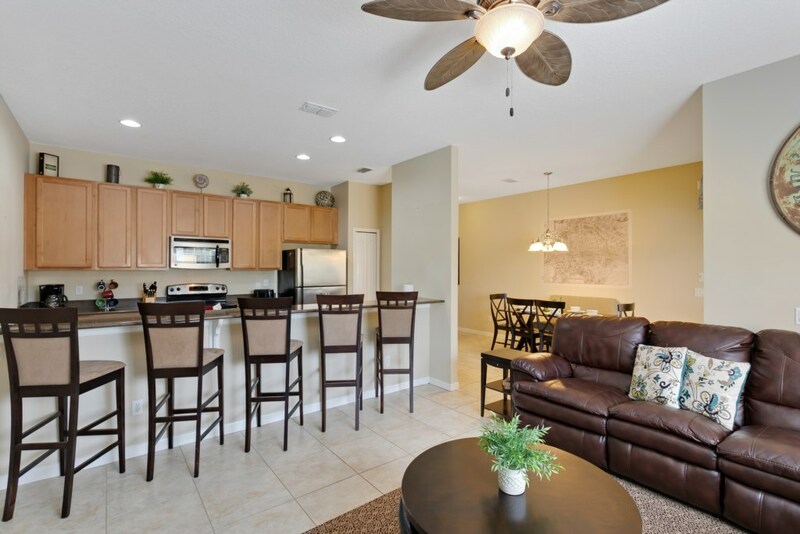 Whether you're traveling with a large group or just a few close friends, you'll have easy access to fun and adventure! 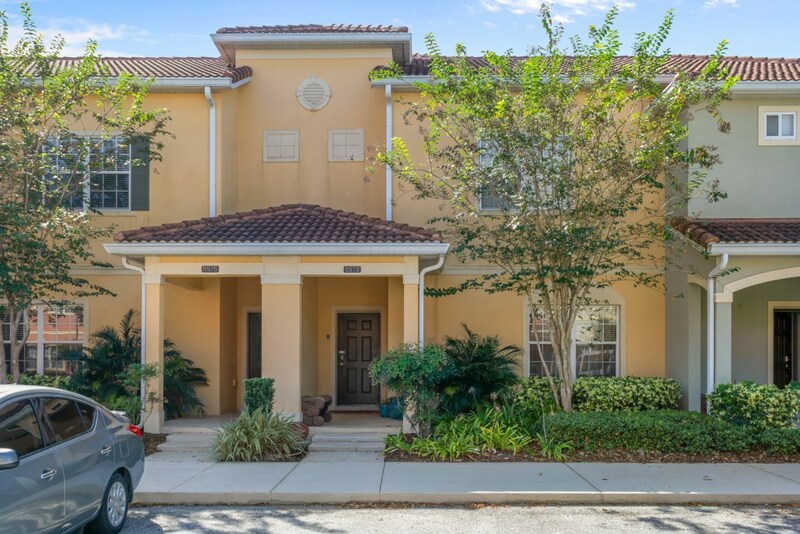 Bright and cheery, this townhome greets you with an abundance of light and plenty of space for all of your guests to gather with ease. 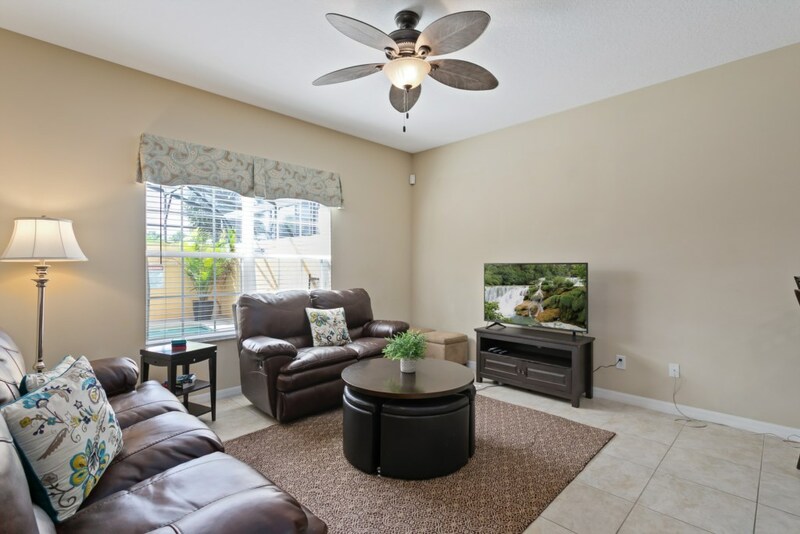 When the laundry piles up, start a load in the private washer/dryer, then kick back on the couch to surf the cable channels. 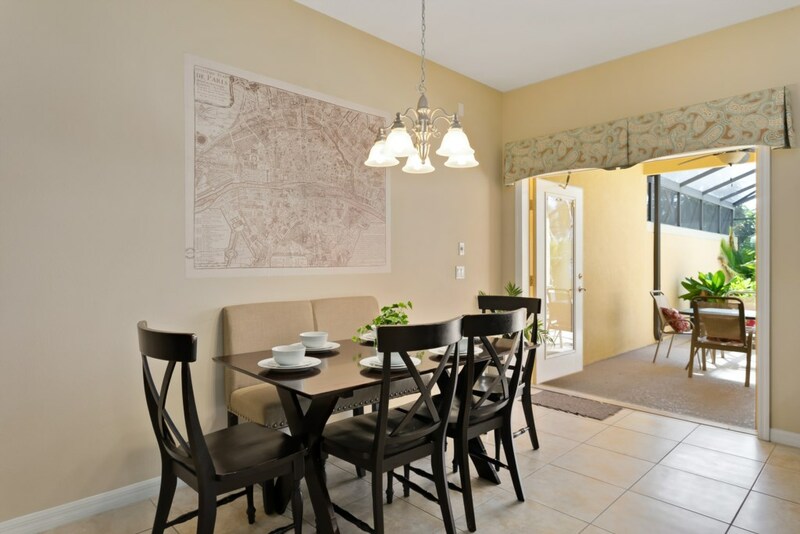 Play a board game with the whole family, or simply find a quiet spot to revel in a good book. 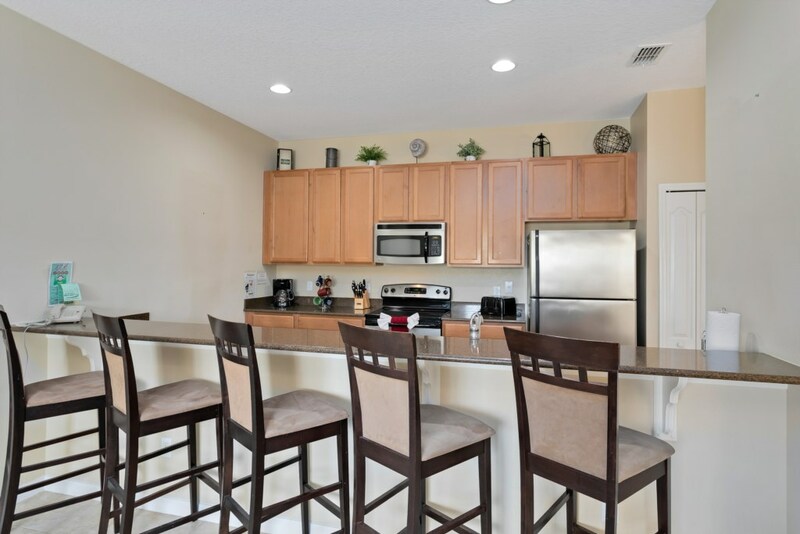 When it's time to eat, the fully equipped kitchen will help you create your culinary vision with stainless steel appliances, custom stone counters, and even a microwave for heating up leftovers. 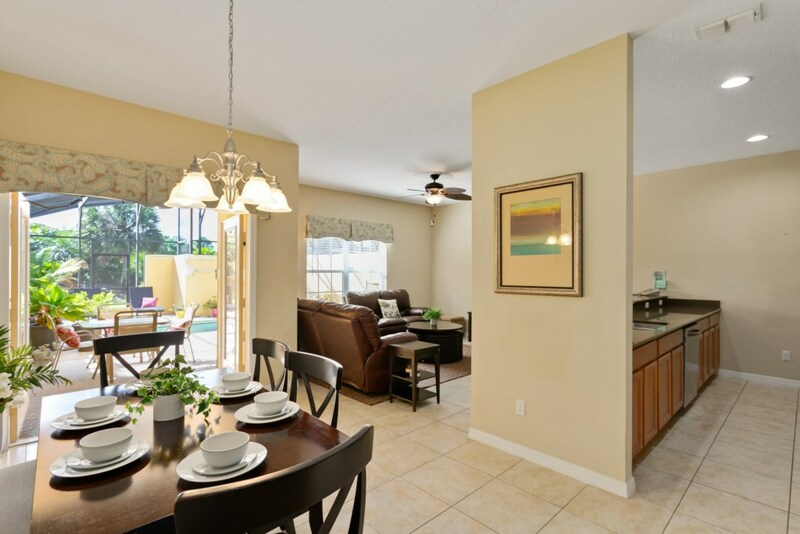 With seating at the six-person dining room table and the elegant breakfast bar, there is room for everyone to spread out. 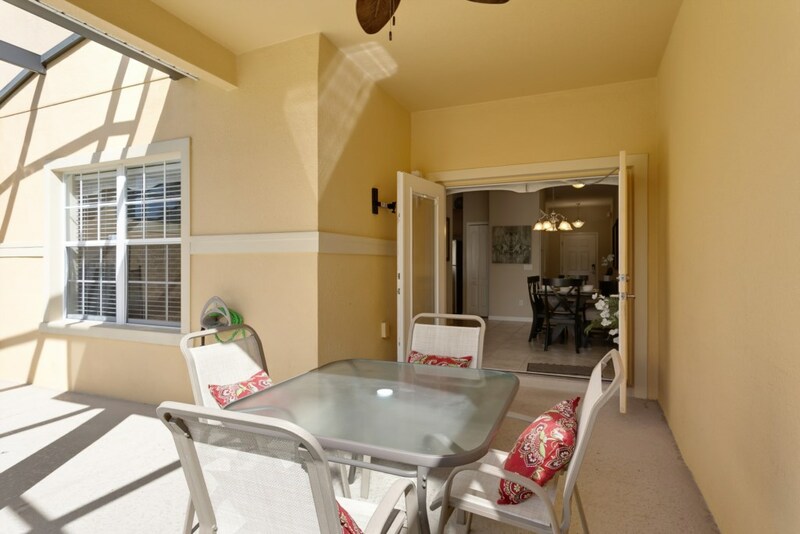 End the day on the patio with a nightcap while you plan the next day's fun. 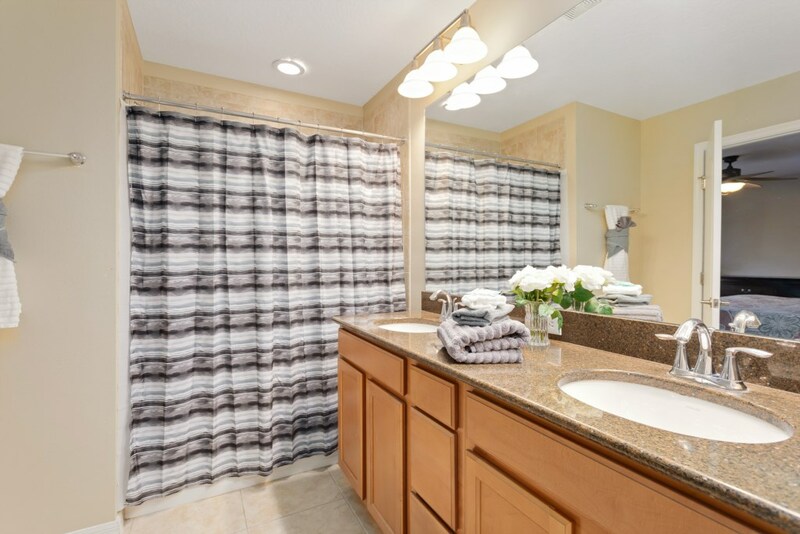 As the day winds down and it's time to retire, this four-bedroom, three-bathroom home will host up to eight guests in comfort. 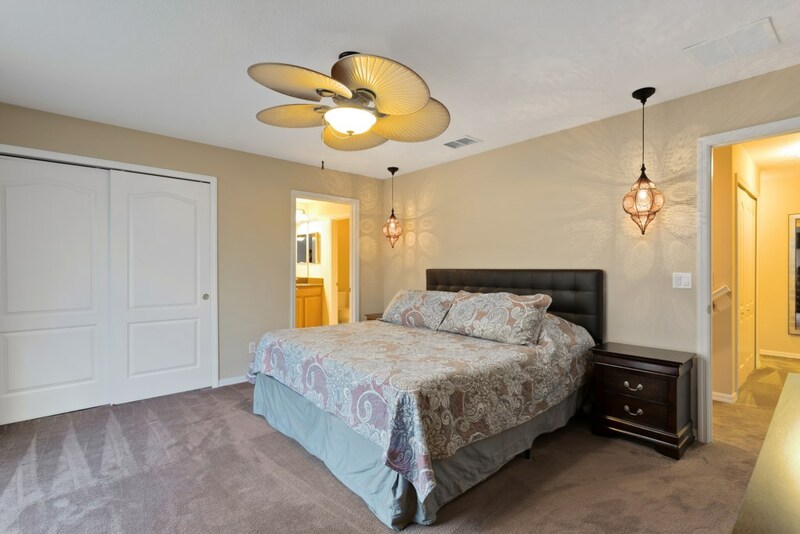 In both the master and second bedrooms, you'll find plush king-size beds and private en suite bathrooms for you to enjoy. 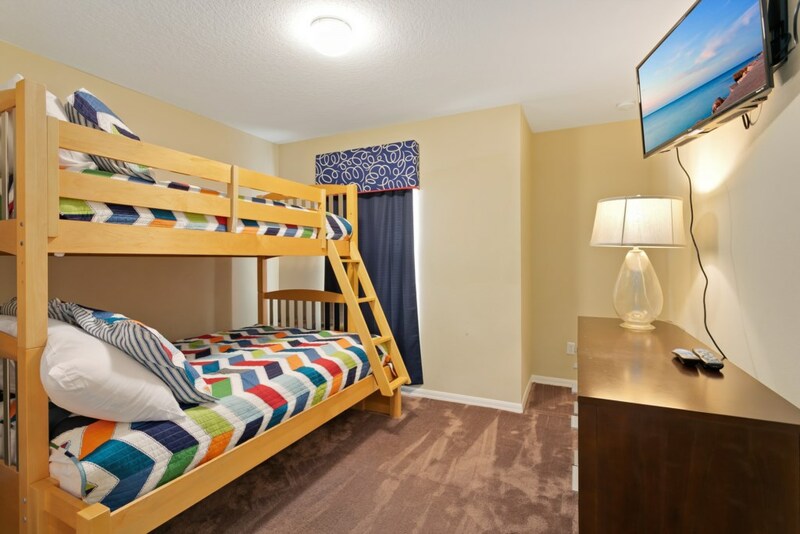 The third you'll find a queen bed and fourth room you'll find a bunk beds, making them the perfect spot for your youngsters to set up shop. 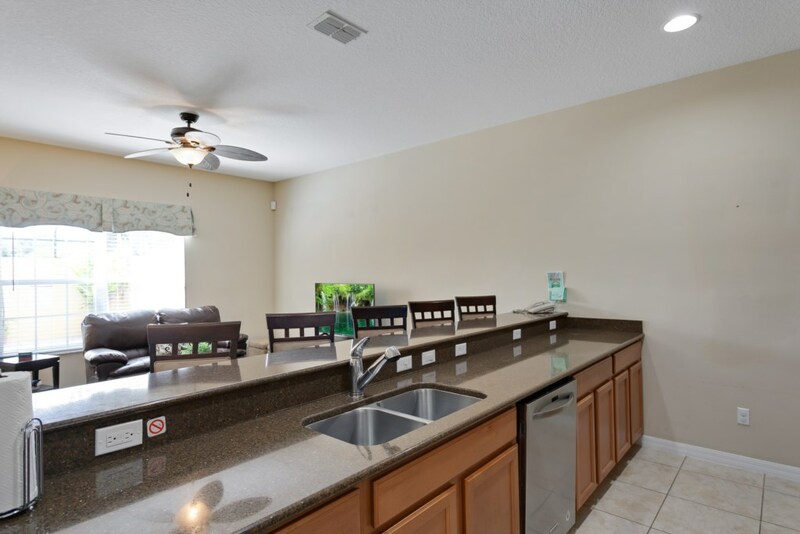 Only 2 minutes walk you can start your day off with an invigorating workout in the on-site fitness center and then get a bite to eat at the coffee shop. 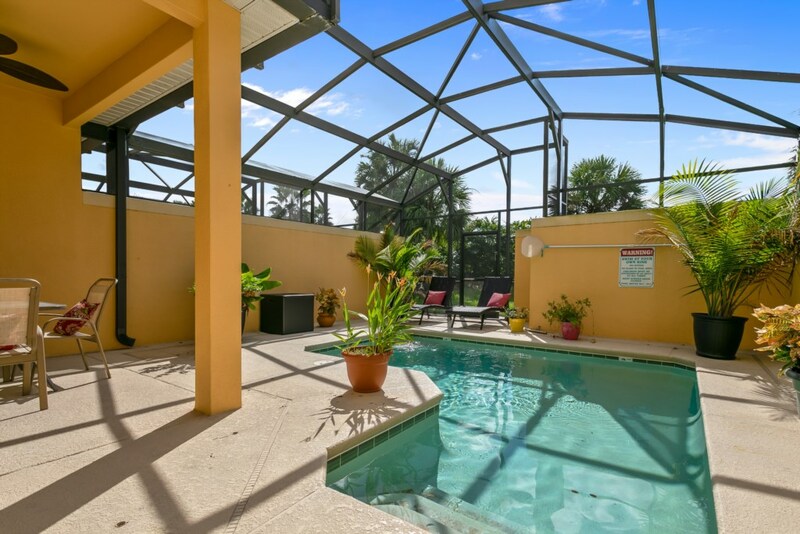 Enjoy some time in your private pool or float the day away in the shared 5,000 square foot tropical lagoon pool, then order a drink at the Tiki bar. 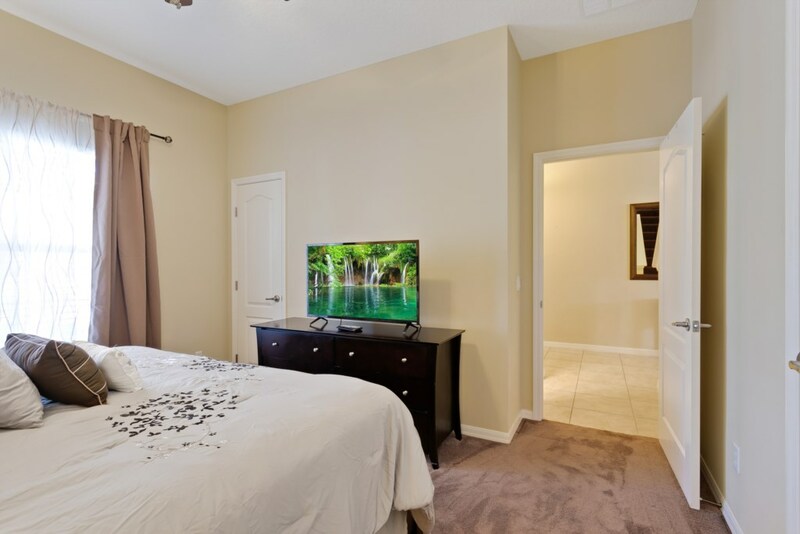 Let the kids play some of the arcade games in the clubhouse or catch the latest from Hollywood in the 50-seat cinema. 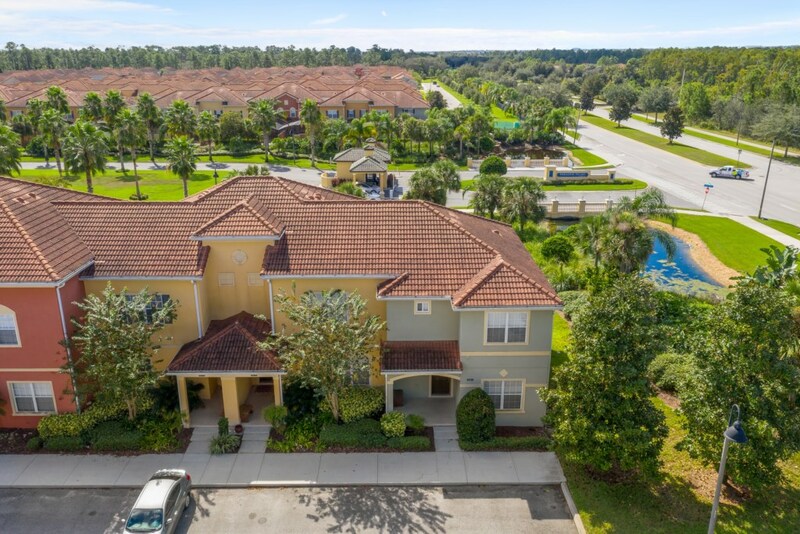 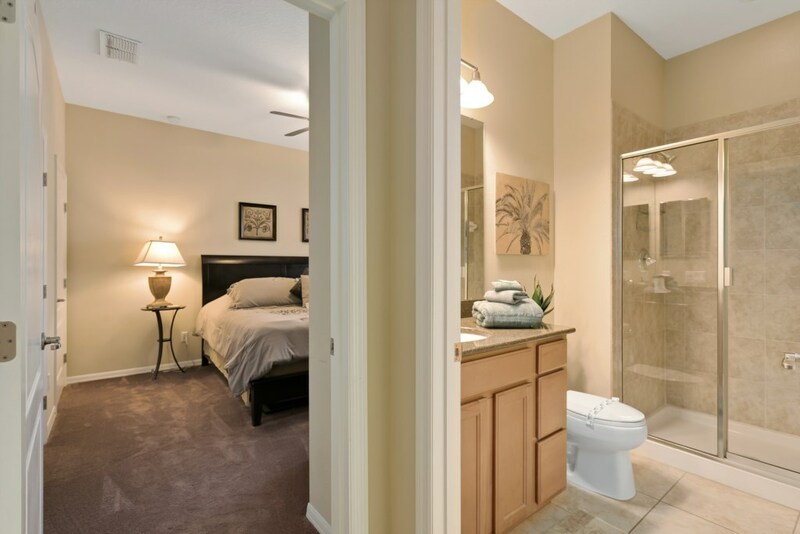 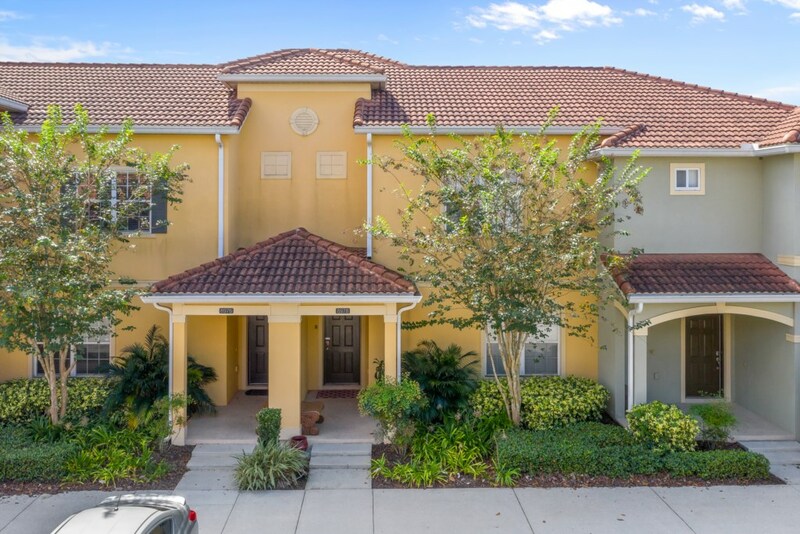 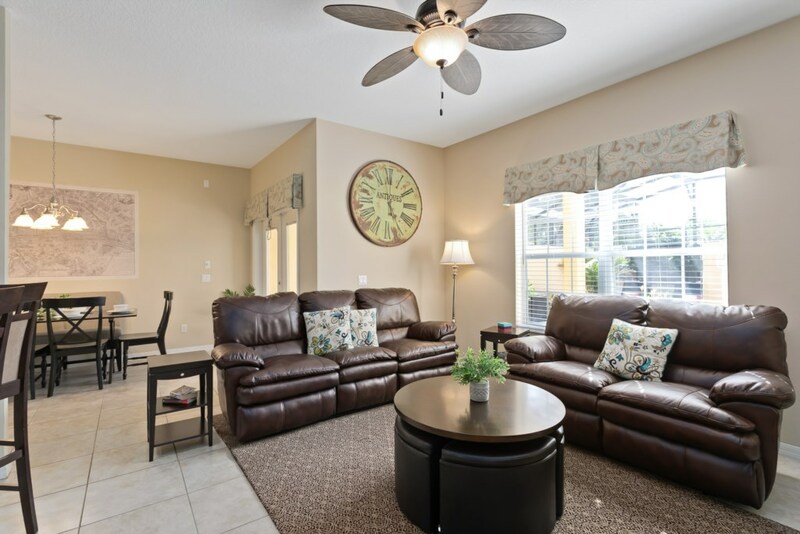 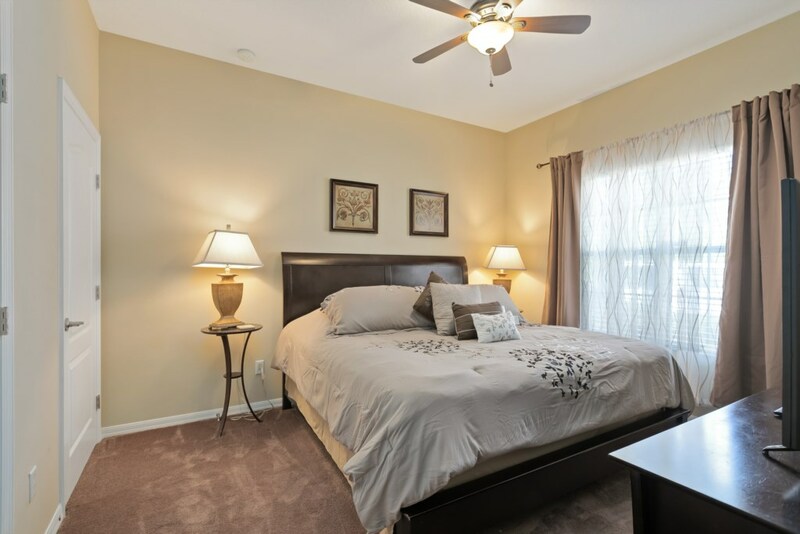 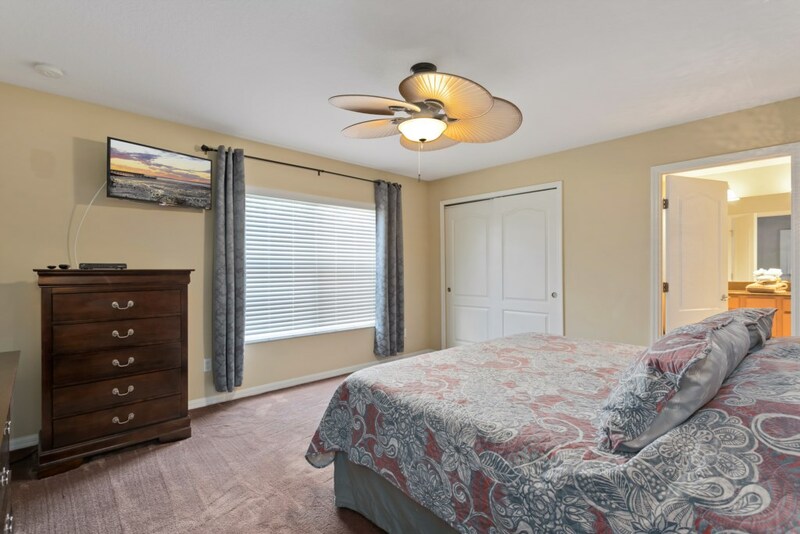 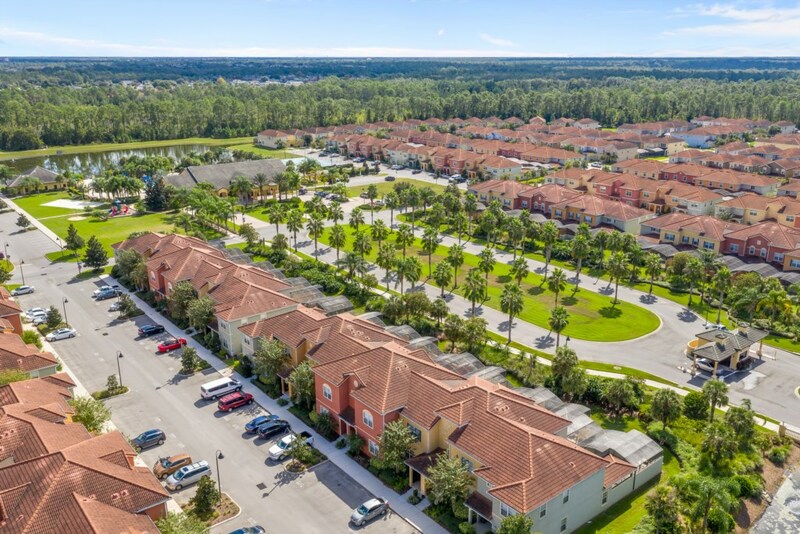 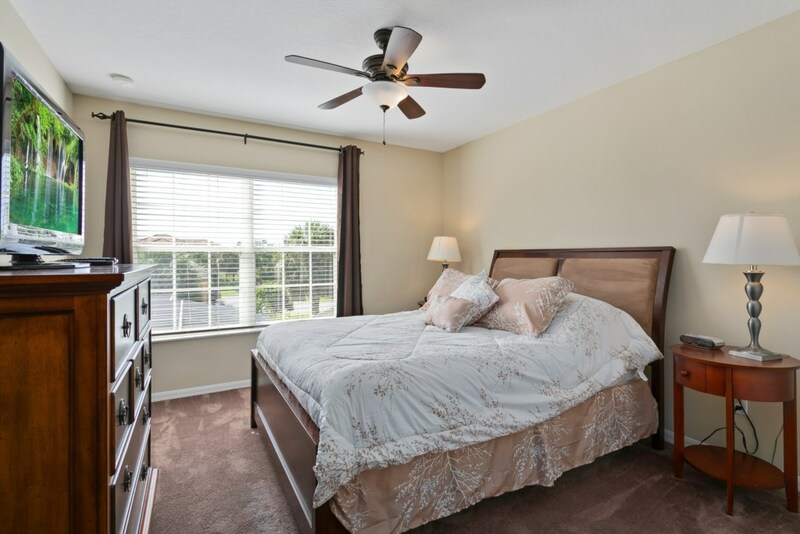 With 24-hour security, luxurious resort amenities, and a variety of Disney attractions at your fingertips, this Kissimmee home puts you right in the heart of the action!